I am maybe-i'm not positive-sorta thinking about doing that shopping ban everyone is talking about. Maybe in the month of July.. :EEEE!!! Love this post! Especially the Grateful For section. Brittany – try it out week by week. that's what I had to do when I did my "shopping ban" last year. Kari – thanks! What are you grateful for today?! i did not do too well on my last few goals. I'm hoping this week I can stay a bit more on track! 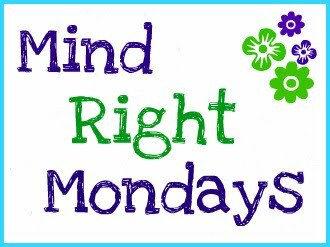 Thanks for getting me into doing Mind Right Mondays!